Don't let the price tag scare you away. In our opinion, power banks over $50 should have at least one standout feature, like a large capacity. The myCharge Unplugged 10K effortlessly meets this criteria with a built-in Qi wireless charging pad. 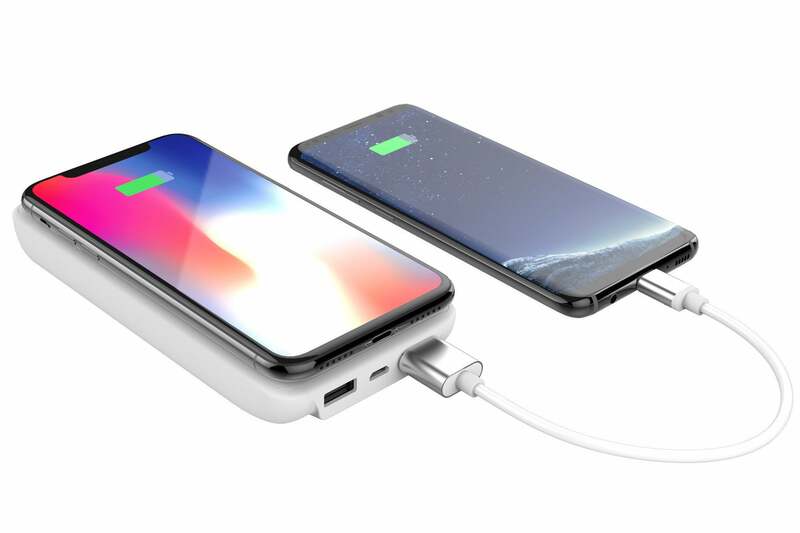 That’s right—you can place a compatible smartphone on top of the battery pack and it charge it up without any cables. Priced at $70, the Unplugged 10K power bank comes with a 10,000mAh (37W) capacity. (Hence the "10K" in the name.) myCharge also offers smaller capacity models that bottom out at $30 and 3,000mAh. The Unplugged line comes in white and has two USB-A ports, each with an output of 5V/2.4A. There are five indicator lights, four of which are used to display the amount of charge left in the pack in 25% increments. The fifth light is used to let the user know that wireless charging is active. The wireless charging pad, indicator lights, and power button are all located on top of the pack. The pad is easy to find, as the myCharge logo is enclosed in a series of circles, which is where the charging coil is. Included in the box is the battery pack and a short microUSB cable. The microUSB cable is used to charge the battery pack, and it’s the only downside I found with this unit. With USB-C’s growing prevalence, I'd prefer to see device makers ditch microUSB charging ports for USB-C.
To use wireless charging on the pack, you must press the power button, then place your phone on the pad. We tested the wireless charging capabilities on an iPhone X; after enabling airplane mode and completely draining iPhone X's battery, we placed it on the charging pad for 60 minutes. At the end of the test, the Unplugged10K had charged the iPhone X to 35 percent, beating out both the other two battery pack/wireless charger combo devices we've tested so far. 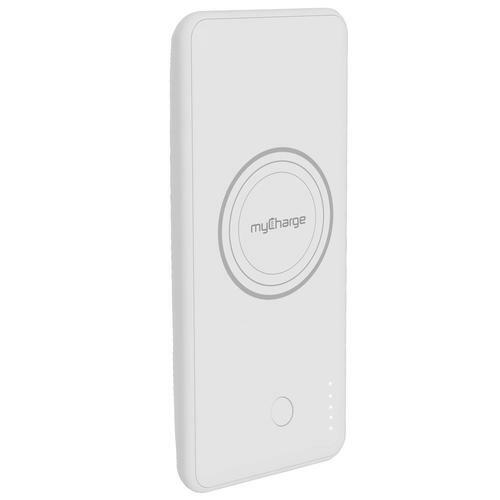 According to myCharge, the Unplugged10K is capable of up to 10W wireless charging speeds. The iPhone X tops out at 7.5W, and myCharge easily met those demands. It also supported fast wireless charging when I tested it with a Samsung Note 9. At the moment, the myCharge Unplugged10K is the best power bank with wireless charging that we’ve tested. It's one powerful and efficient pack.